The privacy of our clients is extremely important to us, and we are taking all necessary measures and precautions to protect the privacy of the users/clients of More of Rome. The data collected from the users/clients will never be used for any reasons other than Payment Processing, Booking, Promotion of our company, Travel Arrangements, and Communication with the users/clients. 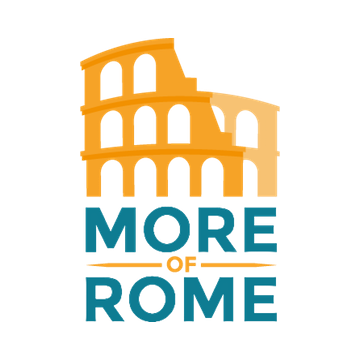 In order to provide the service, to make bookings and travel arrangements, to complete the registration on the website or official blog www.moreofrome.com, and to process the payments for the users/clients of More of Rome, we need to have their personal information. What data do we collect and what is personal information? The data collected from the users/clients, by More of Rome is the personal information necessary to make the bookings and to make travel arrangements. The data includes, but not limited to: Names, Passport Numbers, Physical and Electronic Addresses, Phone Numbers, Credit Card Information with the Security Code and the Exp. Date, Age of the users/clients, Dietary Needs/Restrictions, Health Conditions, Allergies etc. 1.The information provided by the users/clients is used to guarantee the best possible service. For example: to book a tour with More of Rome we need to collect the Name, Credit Card Number, Telephone Number, Physical and Electronic Addresses, if the tour includes a lunch break or food/drink tasting or any activity involving food/drink preparation or consumption, we would need to have the dietary needs/restrictions and/or allergy risk of the client. 2.We use third party agencies/contractors to process payments, provide transportation, coordinate events, provide accommodations, and in some cases we use third party tour guides*, and third party agencies/contractors may require the personal information of the users/clients of More of Rome to make all necessary arrangements in order to provide the services. 3.We also use personal information to stay in touch with the users/clients of More of Rome by means of News Letter for further promotion, marketing and advertisement of More of Rome. 1.The personal information is collected during the registration on the website or official blog www.moreofrome.com and/or during the booking of the tours with More of Rome (online, by phone, by fax or in person with the authorized representative of More of Rome), and it is provided by the users/clients of More of Rome. How do we store the personal information? All personal information and data collected on the website www.moreofrome.com is stored on the secure server of www.aruba.it (Hosting Provider). All personal information collected on the phone, by fax or in person, is stored in the archive of More of Rome- Viale Etiopia, 34, Rome, Italy, 00199. The users/clients will be notified of any changes that may occur. b. The personal information collected will be disclosed to the court of law or law enforcement agencies should any fraudulent activity by the users/clients is suspected. c. Should you ever want to stop receiving news letters, marketing, promotional or advertisement emails/communications from www.moreofrome.com you can simply email us to info@moreofrome.com Subject: Unsubscribe. * On rare occasions, only the local, expert guides are authorized to do the tours. Example: Colosseum, Archaeological Site of Pompeii, etc. ** Cooky is a short text or script stored on your computer or a hand-held device by the website www.moreofrome.com to facilitate the navigation. Cookies can be easily removed by cleaning the navigation history of the browser.